Lake Merritt in the heart of Oakland is the jewel of the city and teeming with life. During this event come learn about the thousands of organisms that call this place home and help document them as part of the City Nature Challenge. Local naturalists will be on hand to help you find and identify organisms. Bring your smart phone pre-loaded with the iNaturalist app, food for lunch, and any tools that you think will help you find organisms. 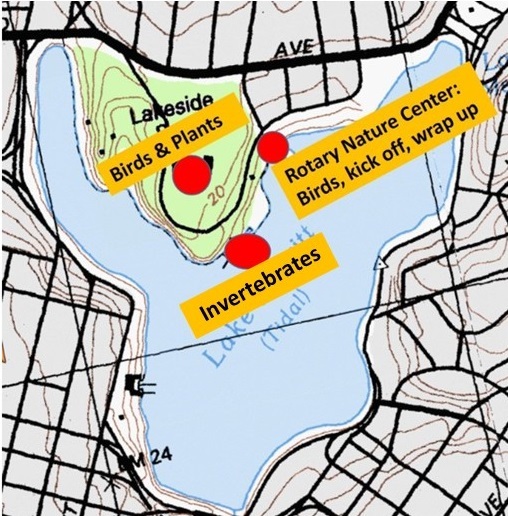 There will be stations around the lake focusing on different habitats, organisms and some short guided walks with experts. You can drop in at any point of the BioBlitz and find a marked area leader to learn from. Please RSVP even if you will be dropping in for just a little bit of the Bioblitz.